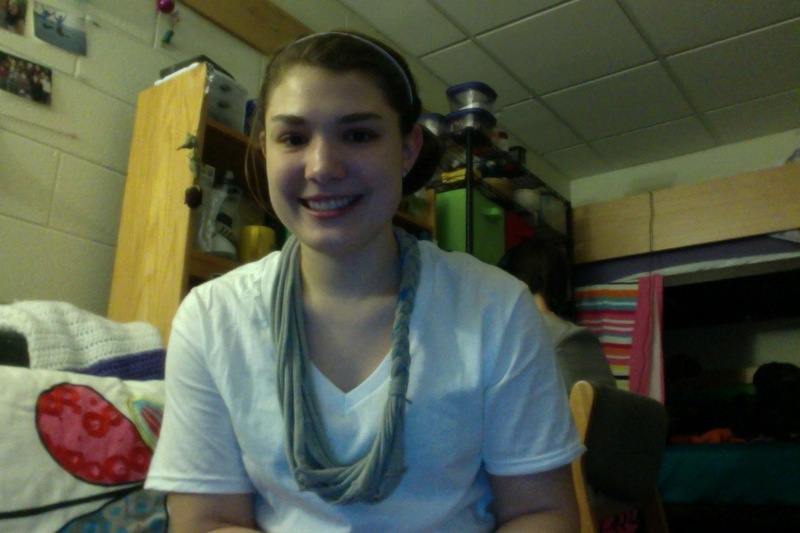 I decided to do a t-shirt necklace for the Winter 2013 Pinterest Challenge. You can read about that here. 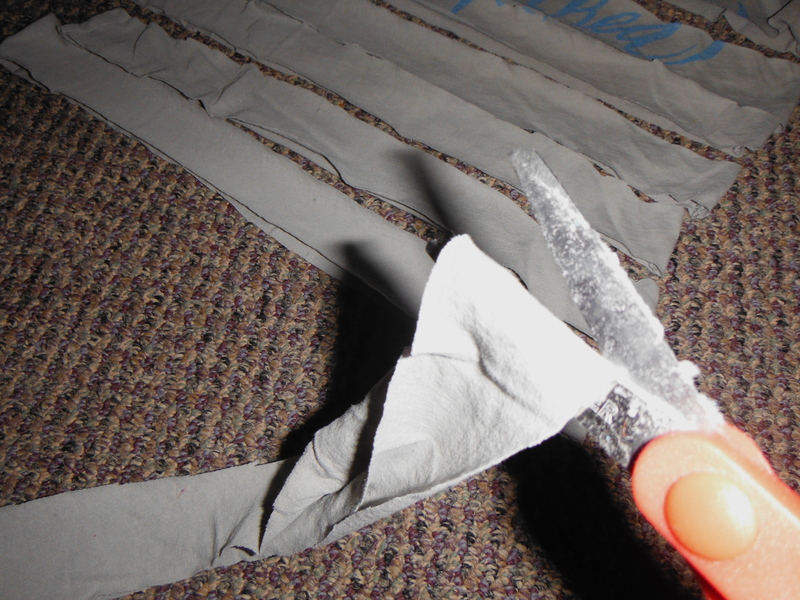 Then, I cut the bottom seam off and cut strips all through the body of the shirt so I had circles. 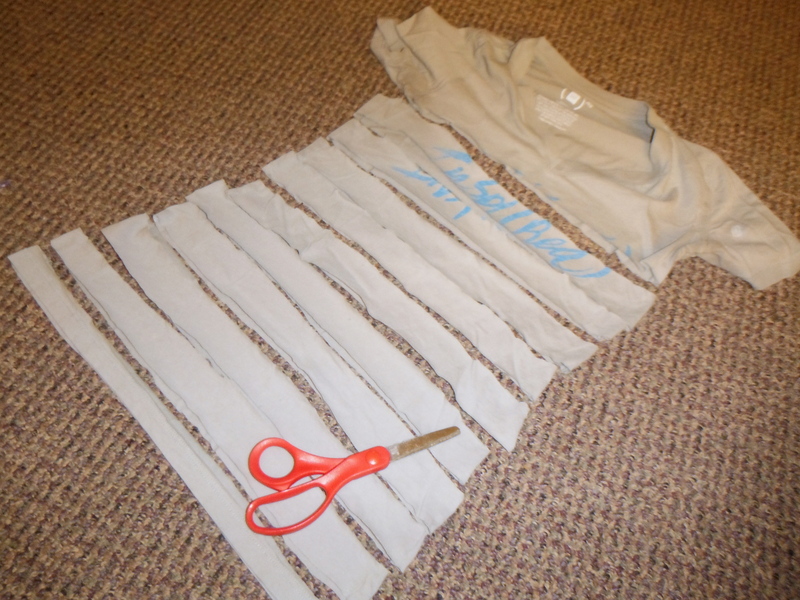 You have to have strips, not circles to make the necklace, so I cut one of the sides of the shirt. My scissors got a little “dusty” in the process. 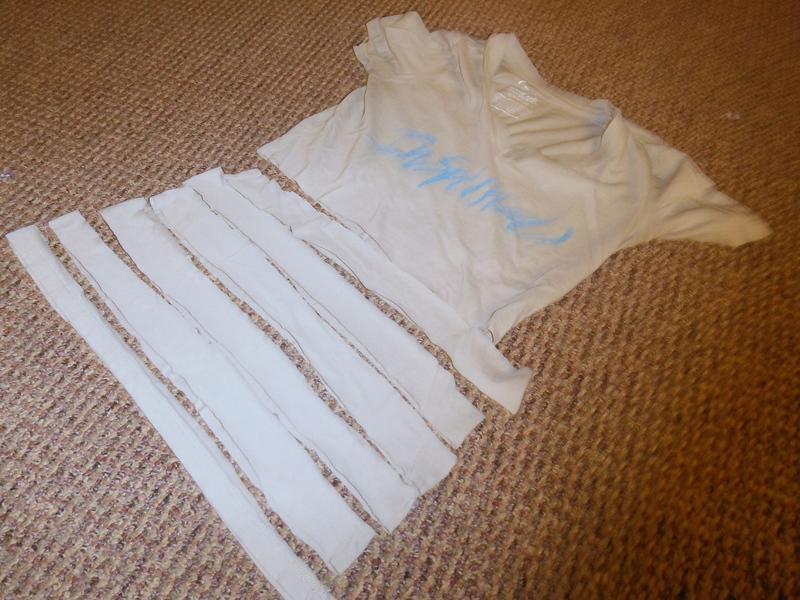 Then, I stretched out all of my strips of shirts. I was a little worried that my strips were not going to be long enough from a size small t-shirt, but they turned out perfect! 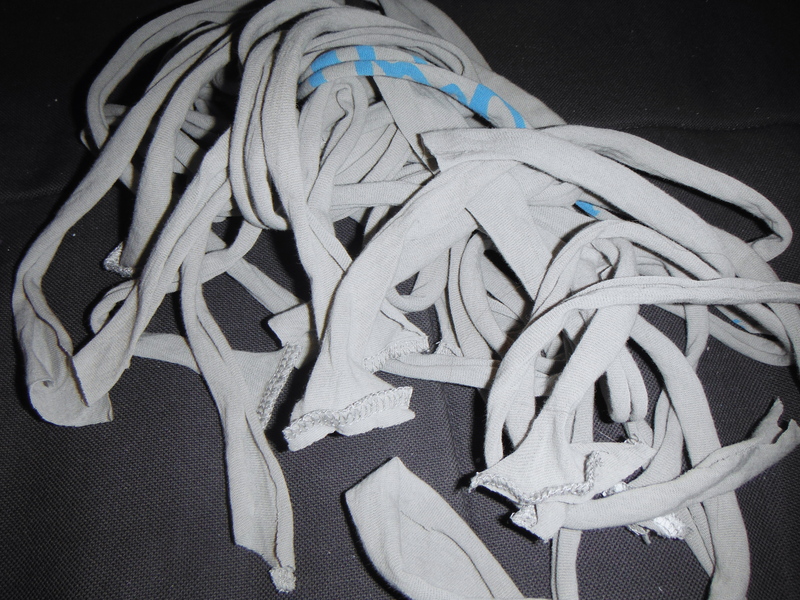 When I was done stretching them out, they looked like a bunch of noodles on my couch. 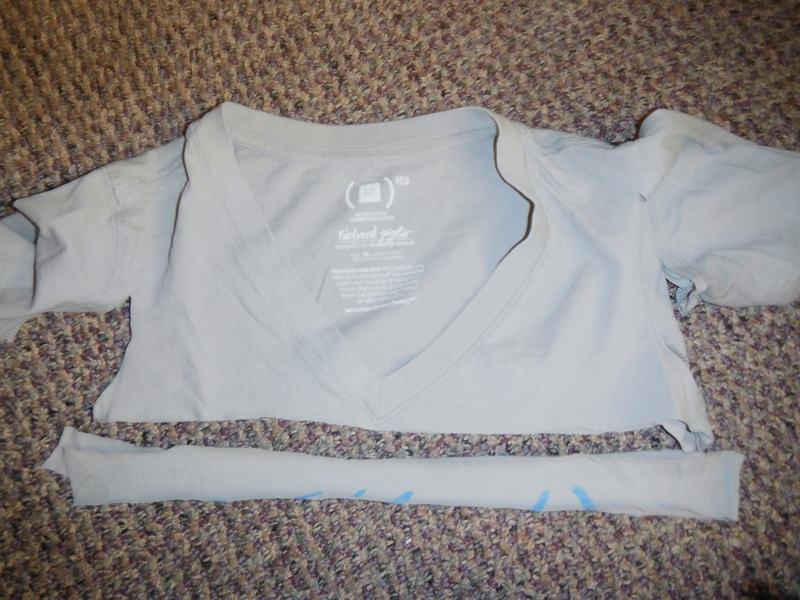 I cut some extra strips from the chest of the shirt so I could use them to tie the strips together at the top. And I lined all of the strips up and tied them together. And separated the strips into 3 groups to braid. My groups had 3 strips each, but they don’t really have to be even or anything. 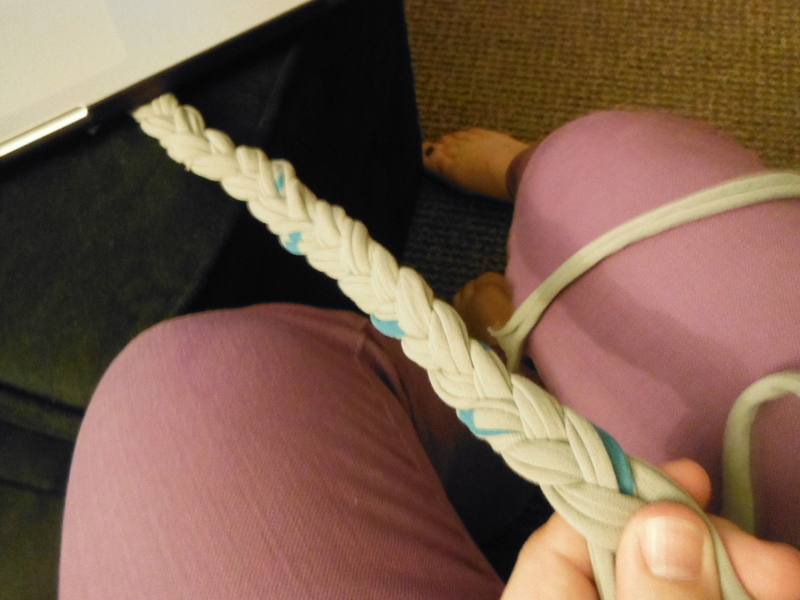 And I just braided the parts for about 8-10 inches. 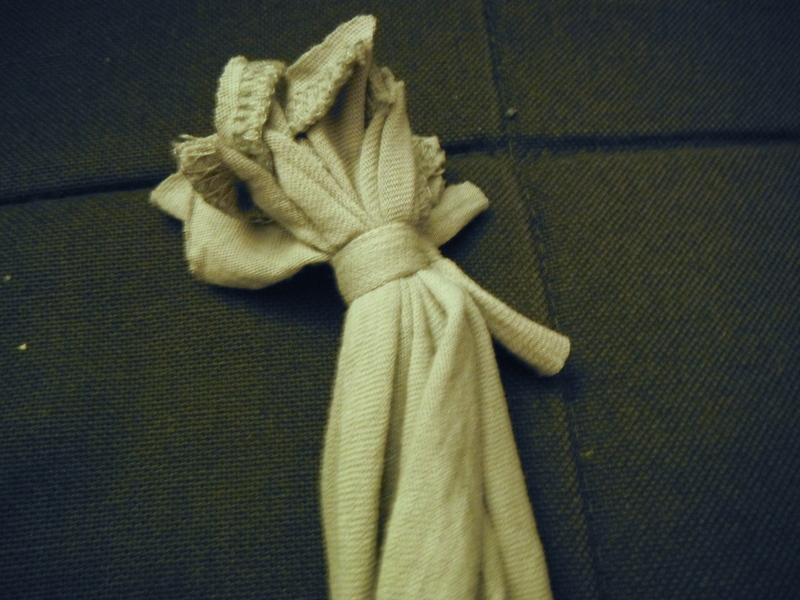 I tucked the knot under my computer to hold it down while I braided. 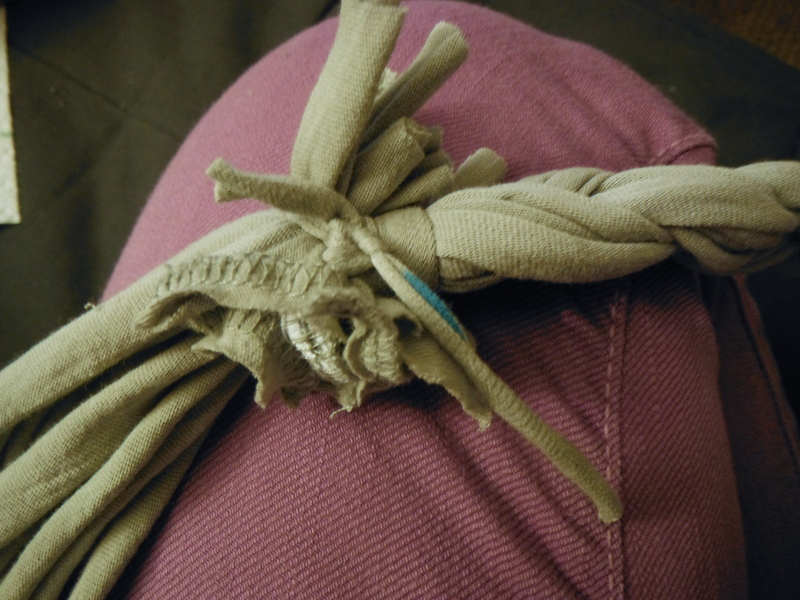 I wrapped another scrap around the end of the braid and tied it to hold it in place. 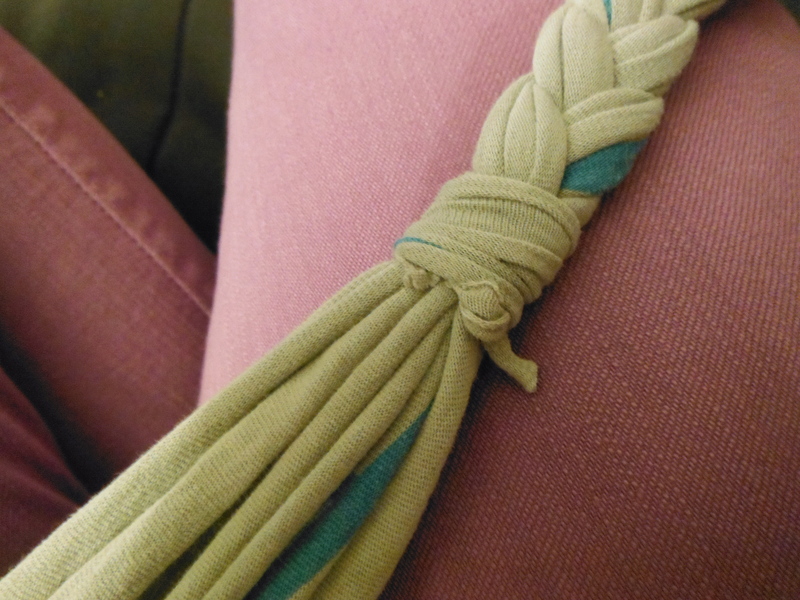 To finish the project up for now, I just trimmed the ends of the scraps so they were even and tied them back around the top of the braid to make a necklace. 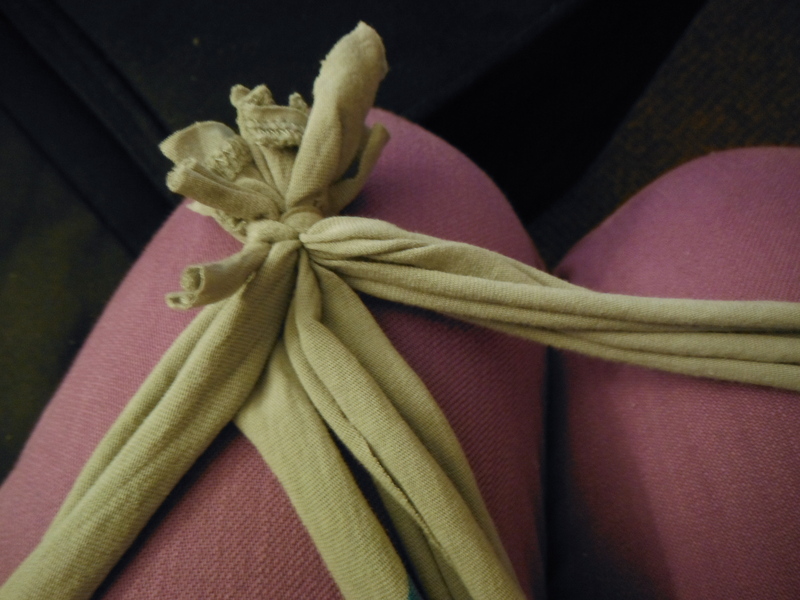 The tutorial said to them sew another scrap around this last knot to make it look neater. I think I will end up doing that next time I go home. p.s. check out how the Young House Love and Katie Bower’s Pinterest challenges worked out! SO CUTE! I love the little bit of blue! I’ve been wanting to try this! 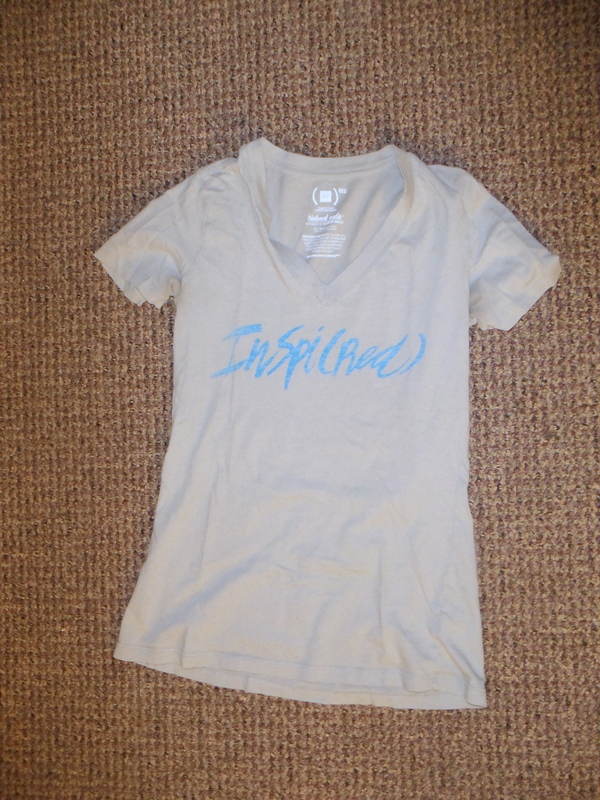 Yours look super cute!